Five reels and four rows offer you fifty paylines in this Pragmatic Play game, which has an RTP of 96.53%. A genie takes centre stage in the theme of the game, which belongs to the ‘fantasy’ genre. There are four bonus modes within the game, all based around locating the genie’s lamp. The best place to play 3 Genie Wishes is right here at UK Slot Games, where we also offer over 600 slot games, including ‘Starburst’, ‘Rainbow Riches’, ‘Fluffy Favourites’ and ‘Bonanza’. There are no prizes for guessing where 3 Genie Wishes draws its inspiration from; we’re pretty sure that someone on Pragmatic Play’s development team is a big fan of Disney’s classic ‘Aladdin’ movie. There are a number of visual cues taken from the film in here, from the cartoonish Arabian background to the presence of a giant blue genie. There’s no official Disney license connected to the game, but anybody who loves that film from their childhood (or even their adulthood) will feel right at home playing this online slot. In truth, the magical world of genies is a natural fit for a slot game. Much like the way that games based around Irish legends are connected with lucky pots of gold and leprechauns, genies are an ancient and historic symbol of luck. We’ve all dreamed of finding a magic lamp, giving it a rub and being given three wishes. In this game, if you’re wishing for a big money win, finding the lamp is exactly the way to go about it, and there’s some real fun to be had with the bonus rounds on your way. There’s a large play area in 3 Genie Wishes; that’s necessary because of the fourth row of the five reels. The visuals are very much in keeping with the game’s theme, with a golden frame surrounding the reels, all set against the backdrop of a golden orange sky. There’s no magic carpet to be seen, but it’s easy to imagine one floating across the rooftops of the beautifully drawn domed buildings and palm trees far below. A gentle Arabian soundtrack accompanies you through the playing experience, which helps turn this online slot into a truly immersive world. Aladdin may not be in the game himself, but there’s certainly ‘a lad in’ the game, and it would be safe to assume he’s an Arabian prince of some kind. There’s a princess to be found on the reels as well. There’s another chap with a turban who, along with a monkey and a parrot, make up the ‘character’ cast of the game. The traditional playing cards J through to A make up the lower value symbols. The giant, smiling blue genie is the game’s wild, and he’ll substitute for everything other than the scatter to complete winning lines. The scatter itself is the magic lamp, and finding those lamps is the key to triggering the game’s bonus features, which is where things really become interesting. Accessing the game’s bonus offerings relies on landing three of the magic lamp scatter symbols. Specifically, you need them to turn up on the first, third and fifth reels to be valid. When that’s done, you’ll be asked to choose from one of three objects which then appear on the screen. Your selection will determine which of the bonus rounds you have access to. Two of them are fairly simple. Free Spins: The first is the Small Award, which is a simple payout of 1 x your total bet. Not the most exciting or game changing of rewards, but it’s better than nothing. You’ll really be hoping for one of the other features though. High Award is the bigger and better brother of the small award. If you select this one, your reward will be a multiplier of between 10 and 500x your initial bet. The selected multiplier will be paid out as a win immediately. It’s when you choose one of the Free Spins variants that things get really exciting. That will take one of two different forms. Raining Wilds gives you ten free spins, adding more wilds to the reels before each spin. That really maximizes your chances of finding a good winning combination. Sticky Wilds gives you six free spins with wilds that appear on the reels and stay there for the duration of all six spins. Again, that gives you plenty of opportunity to find good wins. The only minor drawback is that the scatter symbols are removed from the reels for the duration of your free spins, meaning that the round cannot be re-triggered once it’s started. Keeping things simple when it comes to text based descriptions is one of Pragmatic Play’s calling cards. They have the confidence in their games to know that the quality does the talking, and they’re more than happy to just let you play 3 Genie Wishes and find that out for yourself. They’re right to; this is an excellent online slot. 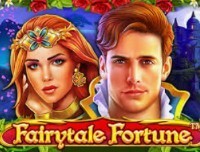 The world of fantasy is a popular one for slot developers to draw on, so there are a few games that bear either major or minor comparisons to 3 Genie Wishes. Whenever we go looking for similar or related games, the first place we look is the developer’s own roster, to see whether they’ve created a sequel to the original title. As 3 Genie Wishes was only released in 2017, there isn’t yet a definitive sequel, but they do have a few fantasy themed offerings among their roster, and one of them appears to be almost identical at first glance. This game doesn’t seem to be officially referred to as a sequel or prequel to 3 Genie Wishes, but it really should be. It’s almost identical. It contains the same number of rows and reels, and identical characters to the ones on the symbols in 3 Genie Wishes. This game came first, so we could look at 3 Genie Wishes as being a sequel of sorts. There’s a twist on the bonuses in Aladdin’s Treasure, with one scatter symbol bringing you up to 50 free spins, and a completely different one granting access to the instant payouts. RTP is 96.58%. There’s nothing to pick between the two games; if you love one, you’ll almost certainly love the other. This game might not take its cues from the same world as Aladdin, but it definitely belongs to the fantasy realm. Instead of looking for a genie in Madame Destiny, you’ll be looking for the magic crystal ball owned by the game’s titular Madame Destiny, which provides access to some potentially lucrative free spins. RTP is 96.50%. With five reels and three rows, it’s a more compact game than 3 Genie Wishes with only ten ways to win. If you’re looking for something a little more simple than 3 Genie Wishes, this may be one you’ll want to consider. A third take on the fantasy genre from Pragmatic Play. The symbols in this game will be familiar to anyone who remembers the fairy tales they were told as children; there’s an enchanted prince, a unicorn, and even a dragon to be slayed! Super Free Spins and a Wheel of Fortune are present as bonus rounds, and the game offers 15 winning lines with an RTP of 96.52%. If you’re on a tour of fantasy games and want to add something magical to your list, this is another one you might want to think of. Again, though, it’s not as deep and dynamic as 3 Genie Wishes is. It wouldn’t be right to accuse any game of copying 3 Genie Wishes, when it’s so obvious that the game has taken its own inspiration from such a well known source! Pragmatic Play aren’t alone in using Aladdin for inspiration though; other developers are well aware of the appeal of the story, and have provided their own take on the legend. This is Amaya’s take on the fairy tale. It’s a little older than 3 Genie Wishes, which shows in some aspects of the visual design. That’s not to say it doesn’t look good though, it’s just that 3 Genie Wishes is an especially attractive game. This is a five reel, three row online slot with 20 paylines, and a number of attractive bonus features which keep the game exciting. The only downside is the RTP, which at 95% feels a little low in comparison to what Pragmatic Play are offering. Red Tiger Gaming were definitely using the same source material as Pragmatic Play when they came up with this one. It’s a little more simple and cartoonish in its design, but the presence of a bright blue genie tells you all you need to know about the inspiration. It is lacking in a prince or a princess, though! Five reels, three rows and twenty paylines sounds a little basic, but the game is actually packed with a huge number of bonus features which make it a really interesting one to play, backed up with an RTP of 96.22%. The bonuses are comparatively easy to trigger, too. There’s less depth of characters and winning lines than 3 Genie Wishes, but the number of bonus features on offer makes up for that. This is a much older offering from Microgaming, but still possesses a charm of its own. It’s nowhere near as pretty as 3 Genie Wishes, but it’s still an attractive game to play. Five reels and three rows offer 25 paylines, backed up by Free Spins and a Gamble feature. There’s nothing revolutionary or groundbreaking about Genie Wild, but it does have a massive jackpot of 5000x your initial stake, which may be of special appeal to some players. The RTP comes in at 95.35%. Pragmatic Play are a company who have formed and grown up in the era of mobile slots. They even make a point on their website of stating that they work on a ‘mobile first’ basis; their games are designed with mobile slot players in mind, and then ported backwards to make PC or desktop versions. With this in mind, and also taking into account the game was only made in 2017, you’d expect playing 3 Genie Wishes on a smart phone or tablet to be a seamless experience. In truth it is, so long as you play it the right way. Holding your phone or device in a landscape format, you won’t notice any difference between the mobile and laptop versions of the game, other than the fact you’re using your fingers to spin the reels and make selections instead of a mouse. The graphics are of the same quality, the soundtrack is still present, and even the layout is mostly unaffected. Everything is easy to find and easy to play. It doesn’t look quite as good in portrait mode. This is something of a surprise for Pragmatic Play. The developer have released a number of titles in recent years which make intelligent use of programming to work out which way up you’re holding your device, and rearrange the game accordingly. Usually, that means the playing area is unaffected, and the buttons relocate themselves to make the game easy to play. For whatever reason, that hasn’t happened with 3 Genie Wishes. Turn the phone into portrait mode, and the reels will locate themselves in the top half of your screen, shrunk down to the point where they can be a little difficult to make out. The bottom half of the screen is completely given over to the buttons. Everything still works, and we wouldn’t normally mind, but it does seem odd when we’ve seen the developer do it so much better on their other games. Maybe they’ll come back and take another look at it some day. In conclusion; if you’re happy with the way the game plays on a laptop or computer, you’ll also be happy with the way it plays on your mobile device, just so long as you’re holding it the right way up to get the best out of the experience. Not every slot game that’s released gets a huge amount of press attention. Somewhat ironically, releasing any slot game is a gamble as to whether you’ll get mainstream or industry press eyeballs on your fresh product, and whether they’ll still be writing about it a year or two after the game has been released. In the case of 3 Genie Wishes, which was released in early 2017, attention has died down since its launch, and attention has turned to newer offerings from both Pragmatic Play and elsewhere. Pragmatic Play may be their own worst enemies in this respect; they release so many great games that every time they do, they push their own back catalogue further down the priority list. Despite that, the game does occasionally get a namecheck from industry newsletters. Casino Life Magazine recently ran an article looking at which slot games were popular over the festive period. To their surprise, even though many developers release specially themed festive games, none of them were all that popular among gamers. In fact, 3 Genie Wishes was one of the most played games on the market during that period. The article suggests that it may be the game’s strong theming and exciting bonus features that have kept players coming back for more, although it incorrectly states that it was released in 2016. Why Is UK Slot Games The Best Place To Play 3 Genie Wishes? If you’ve read this review in full, we expect it’s had one of two impacts on you. Either you’re ready to go and find your DVD collection or preferred streaming service, watch ‘Aladdin’ and sing along to ‘A Whole New World’, or you’re ready to dive into a whole new world of online slot entertainment! If it’s the latter, we’re excited for you. It’s a great game with plenty of character and good bonus features, and hopefully you’ll strike lucky with it as a player. 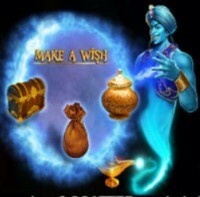 If you are ready to give 3 Genie Wishes a try, we want you to stay here with us, and play it on ukslotgames.com. Secondly, we don’t force you to deposit money when you first sign up. Everybody is welcome to make an account, and you can then browse our entire catalog to find a game you really want to play before you hand over any money. 3 Genie Wishes is a fine place to start, but there’s no reason to stop there! In fact, we do the opposite of forcing you to hand over money. When you sign up, you could win up to 500 free spins on our games just for doing so!